Tom spent his early adult years starting a family and running a small masonry construction business. Following a spiritual awakening in 1977, he began studying for the ministry. He graduated from Wesleyan University and Yale Divinity School and was ordained in the Episcopal Church in 1986. For the next 30 years, he served as a priest in the Diocese of Connecticut as pastor of two churches, St. Paul’s in Huntington and Trinity in Tariffville. During his tenure at Trinity, the parish began a partnership with the Anglican Diocese of Kaduna, Nigeria to fund and facilitate a medical clinic in Kateri. He retired from active parish ministry in September of 2016 and now devotes all of his time and energy to Kateri Medical Services. His goal is to have 10 clinics built, staffed and self-funding by 2025. He has been married to Maryjane for 42 years. Together, they raised three daughters and now have two grandchildren. John was born and raised in Michigan and graduated from the University of Michigan with a BA in political science in 1959 and had two years of post-graduate studies in Philosophy and African Studies. He has been married to Liz since 1961. Together they have three children and four grandchildren. In 1982, he founded Hart Advisers, a real estate investment company which invests on behalf of pension funds and endowments. In addition to his business ventures, he has served as an elder of Covenant Presbyterian Church in Simsbury and on the vestry of Trinity Episcopal Church in Tariffville. John was a founding member of Kateri Medical Services and has served on its board since the beginning. Bob grew up in Massachusetts and studied at Western New England College majoring in Accounting. He is married to Elaine and they have two children and one grandchild. He is employed as a Divisional Controller of Dattco Inc. in New Britain, CT. Bob is a member of Trinity Episcopal Church in Tariffville and has served as Senior Warden, Treasurer and many other leadership roles. Jim is a Connecticut native and studied at Becker Junior College in Worchester, MA. In 2005 he founded JMLAWSON Associates, L.L.C. , a company which specializes in marketing industrial metalworking and MRO products nationwide. Jim is a member of Trinity Episcopal Church in Tariffville and has served as Senior Warden and many other leadership roles over 38 years. Jim is a founding director of Kateri Medical Services and has participated in our medical missions in Nigeria. He is also the very proud grandfather and spends his spare time traveling to Montana to hang out with his daughter Megan and his grandson Townes. 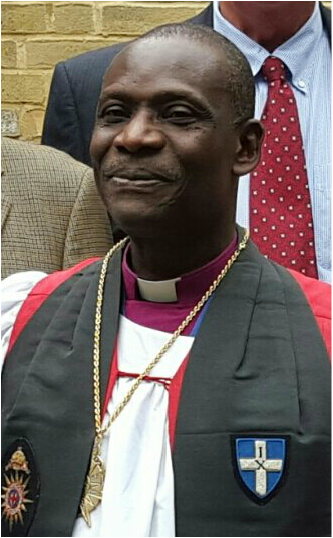 Archbishop Josiah is currently the Secretary General of The Anglican Communion as is based in London at the Anglican Communion office. In that capacity, he assists the Archbishop of Canterbury in building bridges between all of the 80 million Anglican Christians throughout the world. He was Bishop of Kaduna, Nigeria from 1998 to 2015 and Bishop of Sokoto from 1990 to 1998. He also served as Archbishop of Kaduna Province from 2002 to 2009. He is married to Comfort and they have three children and one grandchild. Archbishop Josiah was the founder of Kateri Medical Clinic and, together with the team from Trinity Church, began the partnership that eventually became Kateri Medical Services, Inc. In his new capacity as Secretary General, he plays a vital role in helping us to connect with Anglican bishops and dioceses that may wish to partner with us. Dr. Nwangwu is a public health doctor with expertise in infectious diseases and epidemiology. In that capacity, he is a consultant with the World Health Organization (WHO) and a professor at Southern Connecticut University and at Yale University. He is married to Chioma Nwangwu, MD and they have three children, Nmadinobi (Nobi), Tobenna (Tobi) and Kamsiyochuckwu (Kamsi). He is and elder at Black Rock Congregational Church in Fairfield, CT.
Dr. Nwangwu has served on the Kateri board since 2009 and has been the Team Leader for our annual FaithCare medical mission since 2008. Denise grew up in Roosevelt, New York. She studied at Hampton University in Hampton, Virginia earning a Bachelor’s Degree in Speech and Communications Disorders in 1984. She later studied nursing at Capital Community College and Western Governor’s University. She has worked as a Cardiac Nurse at Hartford Hospital since 1991. She has been honored for her outstanding work over the years. She is married to George Sailor since 1985 and they have two sons, Christopher and Nicholas. She is a member of First Cathedral in Bloomfield, CT and serves as chair of the Foreign Mission Ministry. She has served on three FaithCare missions to Nigeria and has served on the Kateri Medical Services, board since 2011. 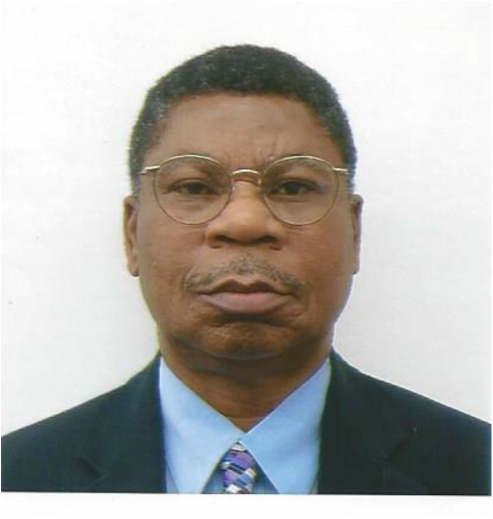 Dr. Green is a native of Nigeria who came to study in the US in 1976. After graduating from the University of Bridgeport, CT (UB), he began a career as a medical technologist and rose to become a health care administrator. He later received his Doctor of Health Administration Degree. He was adjunct faculty member at UB where he taught medical lab science, public health and epidemiology. He worked for 36 years and finished up his career at the Veteran’s Administration Hospital in Rocky Hill, CT. He is married to Lola and they have four children – Moji, Tokunbo, Tunde Jr. and Nike. After retiring from the VA in 2015, he and Lola returned to Nigeria to develop a consulting service for administration of health care facilities. Dr. Green has served on our Kateri Board of Directors since 2006 and has participated in our summer mission teams. He is now based in Lagos, Nigeria and is very helpful in keeping us informed of economic, political and cultural trends which affect our medical mission. Paul Williams is Senior Director at Cigna Insurance Co. since 2001 and is responsible for strategic direction and operational execution for new provider reimbursement methods. He received his BA from St. Lawrence University and his MBA in Finance from University of Connecticut. He is married and has three children and lives in Simsbury, CT. He is an active member of Trinity Episcopal Church in Tariffville and serves on the Vestry. Paul’s commitment to Kateri Medical Service began in 2013 during his first mission trip to Nigeria. Reflecting on this, he says.